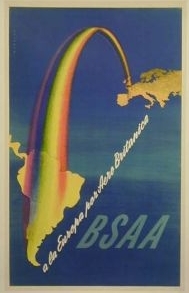 One of the earliest BSAA posters, dating from 1946. 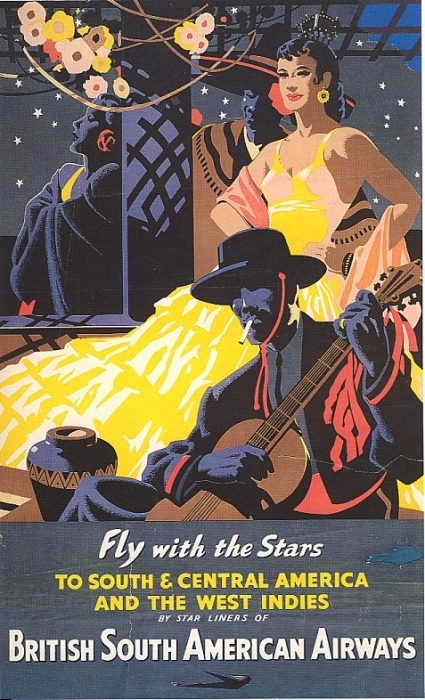 This poster from 1947 is the first to use the slogan 'Fly With The Stars'. 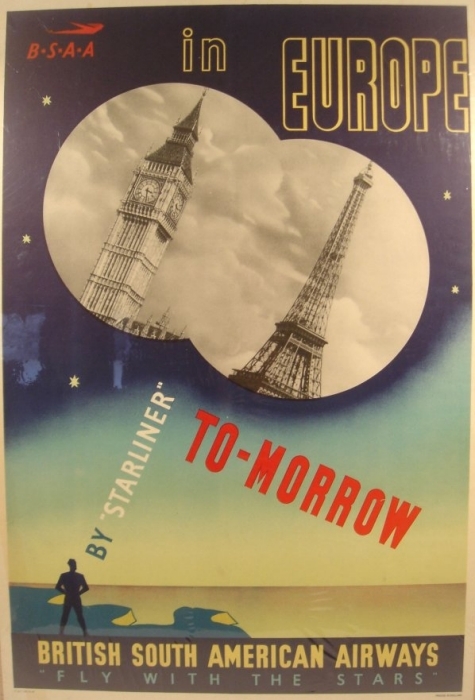 Another "Fly With The Stars" poster emphasising speed of travel to and from Europe by BSAA "Starliner". 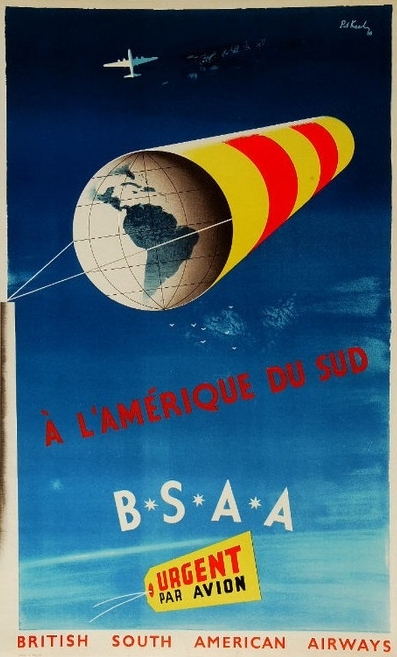 A French poster showing the key role BSAA played in delivery of Air Mail to South America. 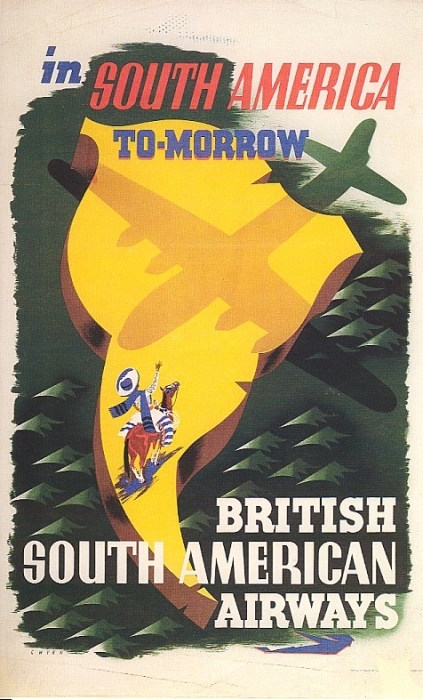 A striking poster of unknown origin. 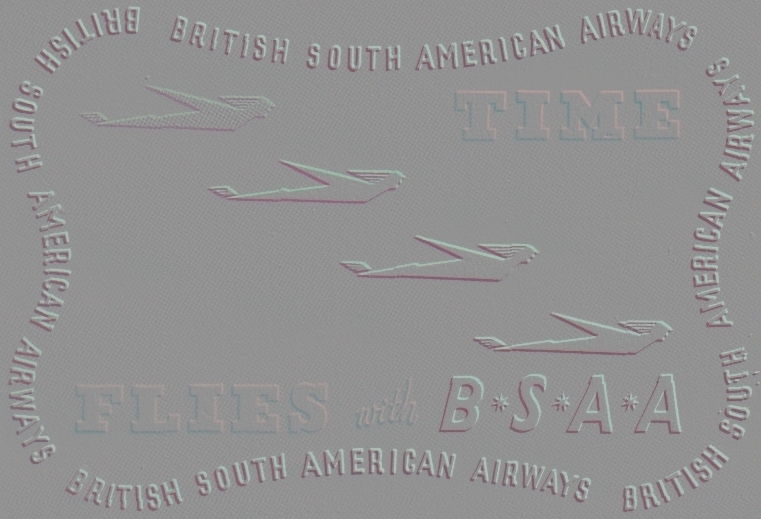 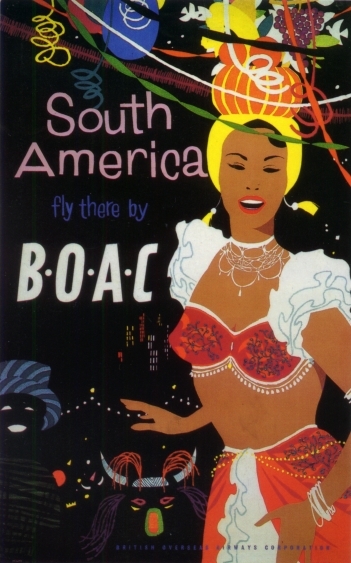 Notice the similarity in style between this BOAC poster produced soon after the merger with BSAA and the 1947 "Fly With The Stars" poster above.